Four matches into the Ladbrokes Mobile Masters and a pattern is emerging at the Wembley arena – the underdogs just continue to upset the favourites. Mark King, Peter Edbon, Graeme Dott and Ding Junhui have all seen their prices slashed in the snooker Masters betting and Ding is the favoured of the quartet at 5/1 to win the tournament. But Dott will fancy his chances after defeating fellow countryman and pre-tournament favourite John Higgins in the first round, and the 2010 World Championship runner-up has been cut into 8/1 after starting yesterday at 20/1. Yesterday we told you to take the price on Dott before his match with Higgins and today we are telling you to take the price for Mark Allen to win the Ladbrokes Mobile Masters (18/1), before his match with Ronnie O’Sullivan today. It’s feasible that none of the first round favourites will make the second round and O’Sullivan’s demeanour around the snooker table over recent months would suggest that punters would be wise to take the 7/4 for Allen to beat O’Sullivan. The two have met twice previously and both share a win apiece, but Allen’s victory came in the 2009 World Championships and there is no way the 24-year-old from Northern Ireland will be fazed about taking on O’Sullivan. 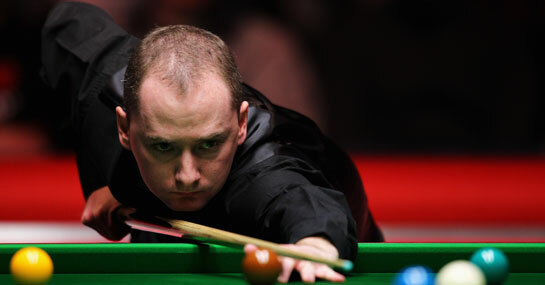 However a tight tie should be expected and Allen is a very tempting price at 9/1 to defeat O’Sullivan 6-4. In the other of today’s first round matches, Stephen Maguire takes on Marco Fu and this could be where the underdog winning streak ends. Maguire is the 8/15 favourite to beat Fu (11/8), and the Scot won both match-ups between the two players last year. Maguire should be the first favourite to justify his Masters odds and can win convincingly – a 6-2 victory for Maguire is priced at 11/2. A £10 double on Allen and Maguire would return £42.10. New customers can sign up here for a free £25 bet.